Storm King Productions is getting ready for Halloween early this year, officially announcing the fifth edition of their horror anthology comic compilation John Carpenter’s Tales for a HalloweeNight. with the reveal of a stunning anniversary edition cover. The striking cover for John Carpenter’s Tales for a HalloweeNight Vol. 5 Anniversary Edition, revealed on Facebook, features what looks like a violent new retelling of the Headless Horseman legend. 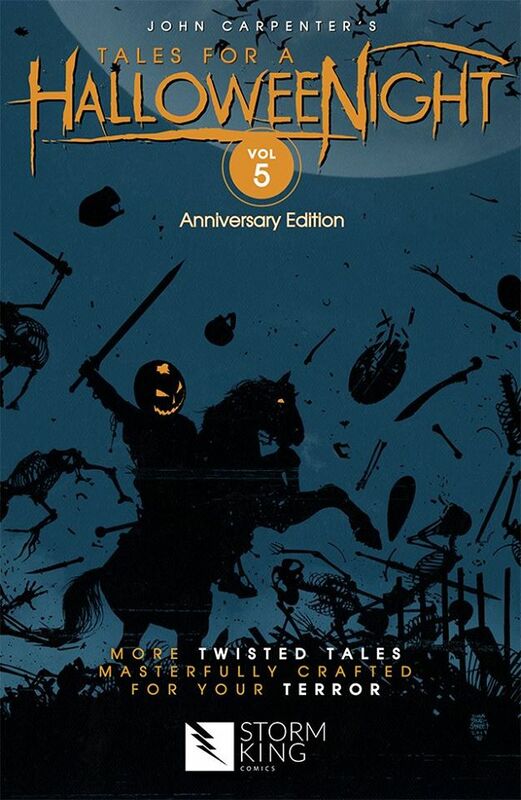 The first Tales for a HalloweeNight graphic novel collection was released in October of 2015, and has been followed each year since with a new volume. A TV series inspired by the series, Tales for a Halloween Night, is also in development at the Syfy network. Tales for a HalloweenNight Volume 5 is expected be arrive in October of 2019. Check out the cover art below.